LocationHomeGeneral30th Annual Croaker Fest Today! The fever has broken! Gone are the days of 90+ degree weather and humidity….at least for now. We have been blessed with sun filled skies and temps in the low 80s, and the good weather will remain for the holiday weekend. 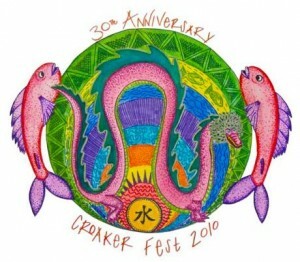 All is great news for the Croaker Festival in Oriental celebrating their 30th year. The two day festival kicks off this afternoon at Lou Mac park with booth, contests, pagents, a parade, music in the streets, games, the festival Regatta, and it ends with a bang….literally….waterfront fireworks at 9:30 on Saturday evening! We’ll see you at the Oriental Marina & Inn tiki bar on Saturday at 7:30 for the soul shakin sounds of the Soul Shakers, sponsored by Arlington Place. And on Sunday at Arlington Place for our Annual Neighborhood July 4th Celebration from 11:00am to 3:00pm….swimming, cookout, open houses, kayaks, boats…..can’t think of a better way to spend the Fourth. Fun weekend ahead, we hope you join us!